Quite simply, it "ran out of good reasons to live." 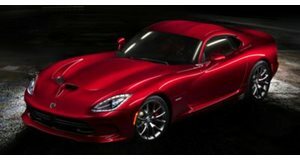 After 25 years, the demise of the Dodge Viper was one of the American auto industry’s biggest losses. Now officially sold out, you better act fast if you want to track down some of the last-remaining examples before they become high value collector’s antiques. Will it be resurrected one day? Who knows, but right now it looks unlikely. But what was the cause of death for one of America’s most iconic sports cars? Speaking to Road and Track, the Viper’s father figure, Bob Lutz, a former chairman of Chrysler, has given his two cents. “The Viper ran out of good reasons to live,” Lutz bluntly puts it, before explaining how the Viper was outclassed by the competition. “The original premise was 'more power and speed than anyone else.' But the Viper was, in recent years, trumped by the Corvette ZR1 and Z06 and even in its own family by the Hellcat.” You could also argue that the Viper hasn’t been meeting the demands of consumers. Most modern supercars offer a smooth ride, in-car entertainment and paddle shifters, but the Viper is decidedly old-school by comparison. It lacks any creature comforts and only offers a manual shifter, which may also explain why it’s been lagging behind. The outspoken executive didn’t stop there. Lutz is also a former BMW Executive Vice President, so the topic of BMW’s current direction was inevitably brought up. Suffice to say, he hasn’t been very impressed with the manufacturer’s recent output, and feels that the brand has lost the reputation for performance it once had. “BMW used to thrill me with superior performance, style, and vehicle dynamics,” he said. “All those attributes are average now; what remains is the social aura of the brand.” Like many of us, it seems that Lutz is craving for a return to pure, undiluted performance machines without unnecessary technology. “There's an arms race among manufacturers, egged on by the media, to put more and more technology into cars -stuff which fewer and fewer people know how to use, or want. I'm with you on the key desirable attributes, and it's why I bought a GMC Yukon Denali instead of a Cadillac Escalade, with its illogical, balky CUE interface." And while on the subject of current motoring trends, of course the decline of wagons and the rise of crossovers had to come up. "Face it: The crossover has displaced the wagon with almost equal dynamics and a much better package," he said, citing poor sales of the Cadillac CTS and CTS V Wagons. "You don't have to 'settle for an SUV,' just a passenger-car- based crossover."